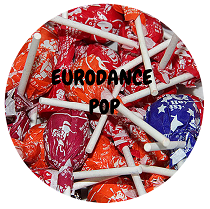 iheartHazey's 00s EURODANCE PARTY: We've been around the world, and we're rating it all - FINALE! Discussion in 'Charts, rates etc' started by iheartpoptarts, Feb 10, 2019. My oh my, this is what I've been waiting for! See? Rene can hardly contain himself for this one, guys. You don't even know. Yes, I mean, this is the decade of Eurodance I really got into. It's what really hooked me into the genre. When the 'hands up' Hi-NRG wave struck because of Cascada and Basshunter, you could find me scouring the internet for every copy-cat out there, and trust me, there were plenty! But make sure you tell them that bubblegum was alive and well! Of course it was! Now, we weren't in the spotlight too long ourselves, though you'll still find a couple of our songs on the list. I don't know if we can count on top 10 again though because the competition is fierce! I was so excited when we came up with this list! There was a time when I worried we'd be drowning in trance songs, just saying. 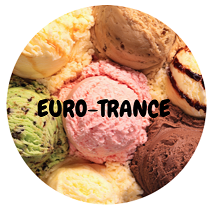 Yeah, I know, but "EuroTrance" was a huge part of the evolution of Eurodance, from the 90s to the 00s. The birthplace of the genre usually had a male rapping and a female hook girl sharing the mic, but all you PJers will be excited to know this became a much more female-focused affair in the 00s. 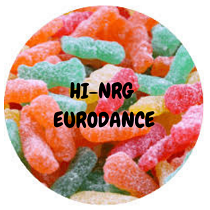 We tried to stay away from songs that veered too much into trance and bring only the ones that had some real dance quality. When the people of Popjustice asked us to return with a countdown of the best Eurodance songs of the 2000s, Rene reminded me of more bops than even I remembered! This is going to be magical. You know it Lene, I don't even know what my 11 is going to be. There's literally 20+ candidates! I was saying "11 candidate" for every song that played in our secret plug.dj collaboration sessions. We fine-tuned the list down to songs that were hits in the UK and elsewhere - plus some personal faves! *wink* Trust me, if I didn't put a limit on Rene, he'd spoil all his PJ00s potentials. I want him to win more contests in the future, so no no no to that! Haha, you're the best. Maybe I'll post a few as 'honorary mentions', but yes, I am protective of my PJ00s potential playlist. It's like gold! You're so good with the rules Lene, why don't you run 'em by everyone again. Remorque, Daniel_O, dancingwithmyself and 11 others like this. Remorque, WowWowWowWow, soratami and 6 others like this. livefrommelbs, Remorque, WowWowWowWow and 6 others like this. We want and stan an ATC Top 2!! Don't we, @New Flame? New Flame, WowWowWowWow, Untouchable Ace and 2 others like this. WowWowWowWow, iheartpoptarts and berserkboi like this. First plug.dj party -- the best way to hear all the songs in one sitting and do some scoring -- will be next Sunday so mark your calendars! We can discuss an exact time that works for as many as possible. WowWowWowWow, soratami, Seventeen Days and 5 others like this. 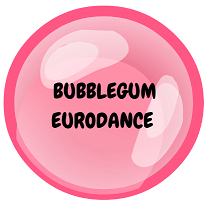 I wasn't able to do the last Eurodance rate but I am 100% in for this one! Tempted to start scoring now, that list has some all-time greats in there. WowWowWowWow, Untouchable Ace, berserkboi and 2 others like this. WowWowWowWow, soratami, berserkboi and 2 others like this. I have at least thirteen 11 contenders and I'd say 90% of the list is basically auto-10 for me. I'm going to have to differentiate them somehow! WowWowWowWow, berserkboi and iheartpoptarts like this. Would you be down for some morning rating if we were to schedule the plug.dj session next Sunday for like 3/4pm EST (7/8am Melbourne time)? Same goes for @berserkboi, our other resident Aussie. If not, we'll make it work best for the UK/NA crowd. I will be unavaible Sunday. But llease remind me for the next one! WowWowWowWow, DJHazey, berserkboi and 1 other person like this. Maybe we could do two on different dates - one that works better for Europe and another that works better for Australia? WowWowWowWow, livefrommelbs, berserkboi and 1 other person like this. WowWowWowWow, livefrommelbs, DJHazey and 1 other person like this. Remorque, WowWowWowWow, soratami and 2 others like this. What berserkboi said! The time difference can be a pain in the posterior - so just see how everyone else is going. If I can make it work I'll be there! P.s. totally second your thoughts RE: the abundance of 11s. You've literally got some of my all-time favourite songs in here, how am I meant to pick one!? WowWowWowWow, iheartpoptarts, DJHazey and 1 other person like this. I will beg 1 last time. So happy that this rate is back. WowWowWowWow, berserkboi, iheartpoptarts and 2 others like this. Did I just yelp in the grocery store when I saw this open? Yes. Do I care? Not one damn bit. I am SO excited to start this. I already see three potential 11s, at minimum. DJHazey, iheartpoptarts, WowWowWowWow and 2 others like this. Yas! I can already tell my average is going to be much higher than in the 90s rate. So many 10s! DJHazey, iheartpoptarts, WowWowWowWow and 1 other person like this. Can we have a PM list? Remorque, DJHazey, Untouchable Ace and 5 others like this.